A single use, 100%* recyclable packaging system and has been one of the most convenient, cost effective and sustainable forms of packaging on the market, for almost a decade. 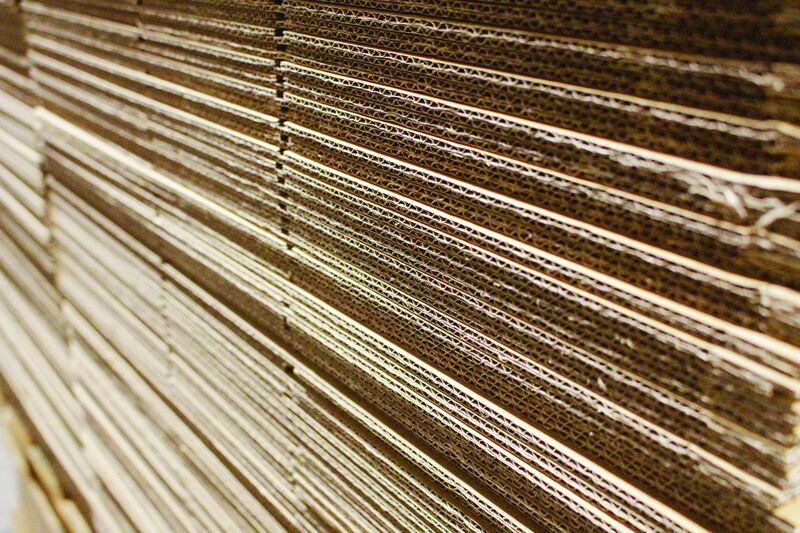 Packaging is a major contributor to environmental concerns; efficient resource use and waste minimisation are now a key focus for our customers. The Lube Cube meets the ambition for a more sustainable and environmentally friendly choice of packaging. Our goal is to enable our customers to increase their recycling rate and limit the amount of materials sent to landfill. Lube Cube goes to the next level, in comparison to other lubricant packaging alternatives, by reducing energy consumption, generating less CO2 emissions and using less overall material, resulting in less waste. What is the FUCHS Lube Cube? Lube Cube is our packaging innovation concept aimed to both tackle the growing environmental concerns reported globally and also to aid the dispensing of our products. Constructed from a strong, durable, splash-proof cardboard outer containing a product filled plastic inner, the Lube Cube is 100% recyclable and fitted with built-in handles for easy operation. Smaller Lube Cubes feature integral spouts whilst larger 20L packs are fitted with a built-in tap for easy pouring with no air ingress. Products & pack sizes available in Lube Cube. Our Lube Cubes are available in 4L, 5L and 20L capacities. The Lube Cube will stack easily which enables more to fit onto a standard pallet. 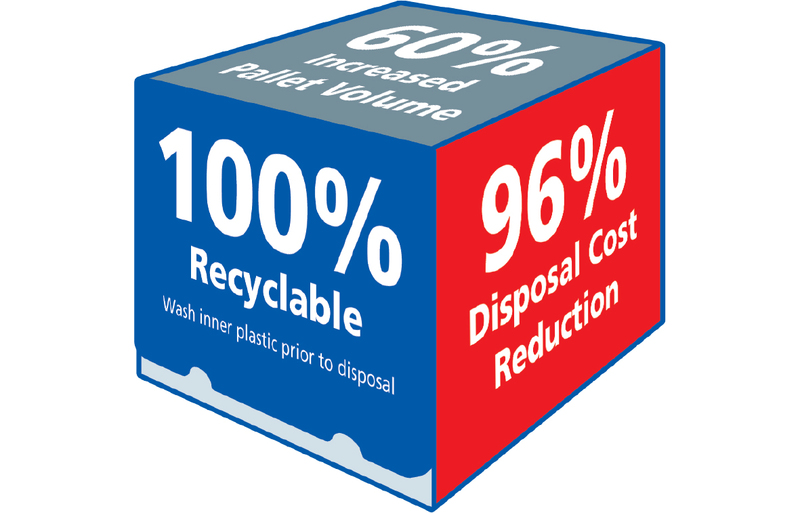 Up to 100% savings on disposal costs can be achieved when switching to Lube Cubes. Once empty, the cardboard outer can be flat packed and placed with normal recycling waste. The Lube Cube’s inner plastic bag can also be placed with normal recycling waste - if the bag is washed out prior to disposal. If you opt to not wash the inner bag, you can still expect impressive hazard waste cost savings, 96% on average due to the significant reduction in both plastic volume and weight compared to traditional packaging options. 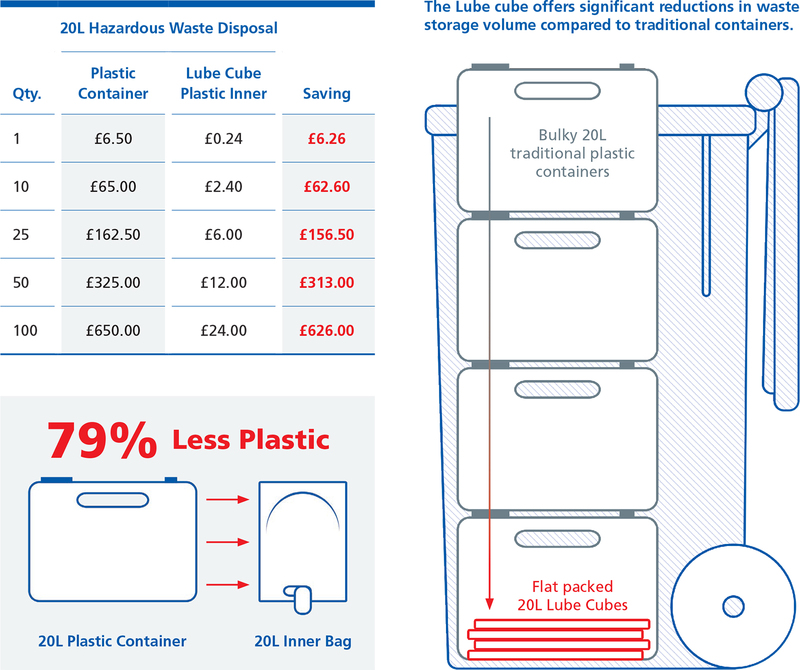 As the Lube Cube can be completely flattened, you will also notice a considerable reduction in space required for waste storage. positioned to enable easy tap pouring. 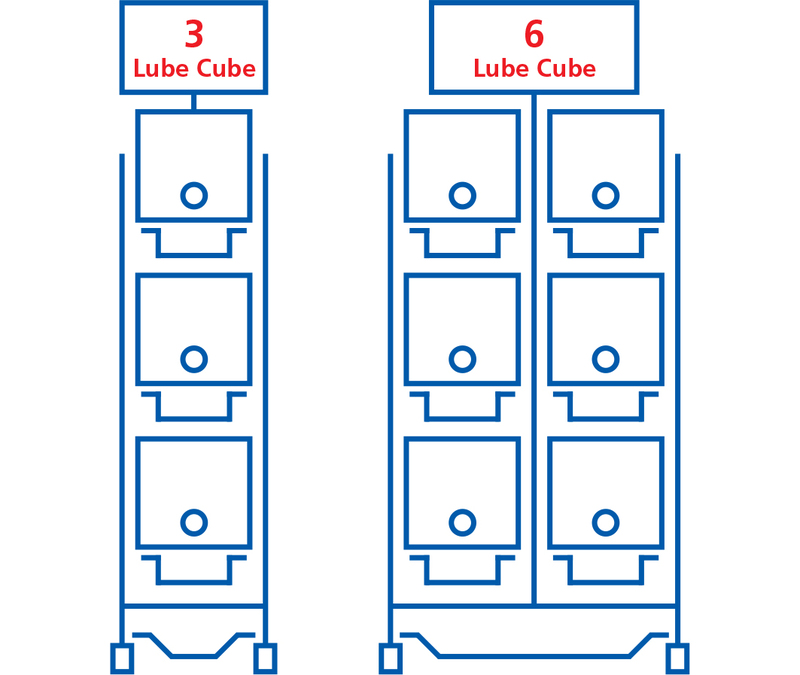 The stands arrange products vertically to provide yet another space saving, as 60L of lubricant can be made to be readily available in the footprint of just a single Lube Cube (3 Lube Cube version). These are available in both 3 and 6 Lube Cube versions and are ideal for any garage, workshop or industrial bay. Our cardboard FUCHS retail stands are also suitable for storing/displaying 8x 4L (Silkolene branded stand) or 16x 5L Lube Cubes (FUCHS branded stand). All FUCHS Lube Cubes are assembled and filled at our UK production facility in Stoke on Trent. This site holds many recognised health and safety/quality accreditations to ensure all high performance products are produced to the highest standards. Significant investment in our UK site has enabled the further development of our Lube Cube production lines. These now feature automated filling and assembly lines with a state of the art, multi-line pallet loading robot arm. Environmentally sustainable products and packaging are a huge focus for FUCHS and this innovation is key to the future of our industry. FUCHS are committed to ensuring the development of its products and packaging offer the same great performance whilst reducing environmental impact. FUCHS has worked alongside its trusted packaging partner for over a decade. Confident that the Lube Cube packaging system can satisfy customer needs, it gives them the option of a more environmentally friendly and sustainable packaging option.